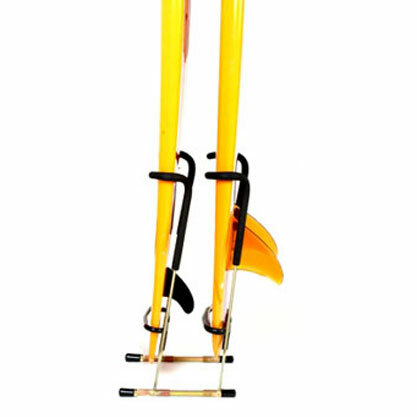 and most durable board mounting system, to safely hold your board. NO PLASTIC, NO WOOD, NO PROBLEMS!
" in no time, the rack goes up, and your boards go on " ! 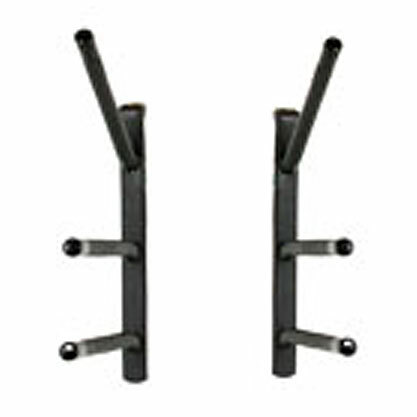 Surfworks® surfboard V-Stands are built specifically to fit your surfboard. Strong spring metal frame with our thick specifically formulated protective padding coating that will re-contour itself to the width of your shortboard. Our Original/Genuine/Authentic lower hoop design accommodates all tail configurations. Surfworks® design allows easy in and out access. 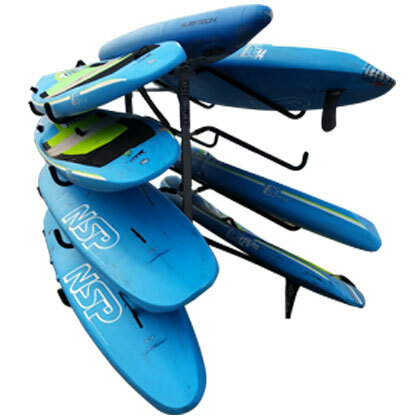 SUP Beach Rack holds 4 stand up paddle boards on each side. All components are powder coated and is easily assembled with stainless steel spring buttons. No tools required, No bolts or Nuts to lose. Original/Genuine/Authentic. 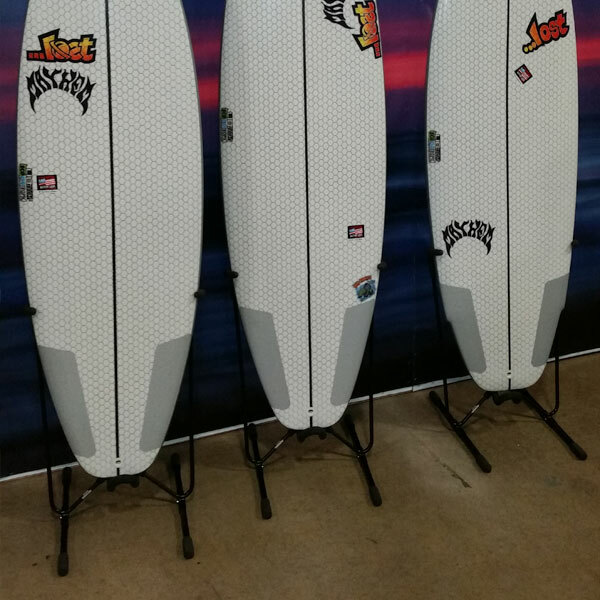 Surfworks Wall Racks are built specifically for your SUP. 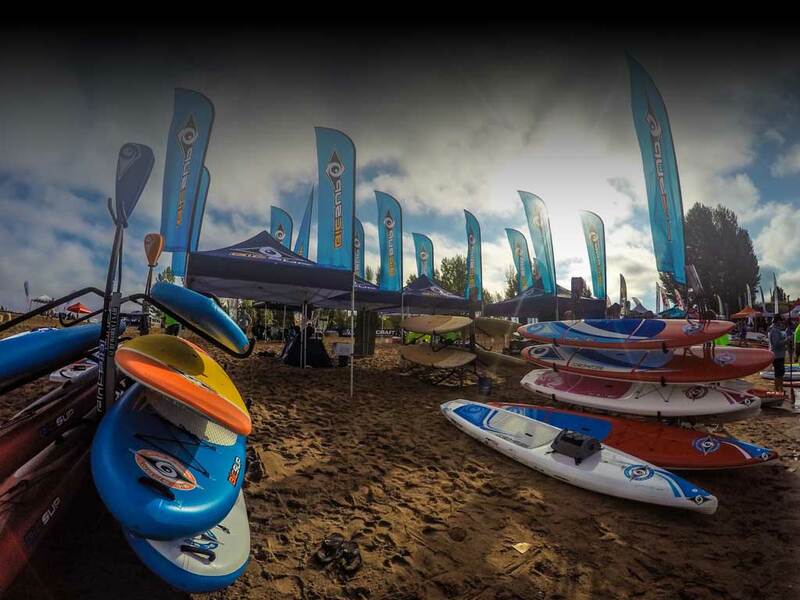 Our Wall Racks will accommodate SUP’s up to 14ft long and 34″ wide, including surf, race, touring, inflatable and foil boards. Adjustable either flat or horizontal. Heavy duty screws, no pre-drilling required. Original/Genuine/Authentic design. Surfworks Shaping Stand built for shaping short, long and foil blanks. Each saddle adjusts up and down. One saddle adjusts inward and outward, optional both sides adjust. 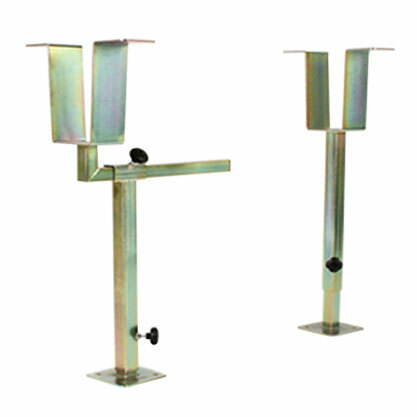 All components are heliarc welded, in dedicated fixtures, to consistently maintain proper tolerances. Original/Genuine/Authentic. most durable board mounting system, by far.
" in no time, the racks go up, and your boards go on " !